F-Stop Magazine: The “Documentary” issue of F-Stop includes your project “Beautiful Pig,” can you tell us about this project? What led to you creating this specific project? Ben Schonberger: Beautiful Pig glorifies the career of a Detroit Police Officer whom I spent two years interviewing. 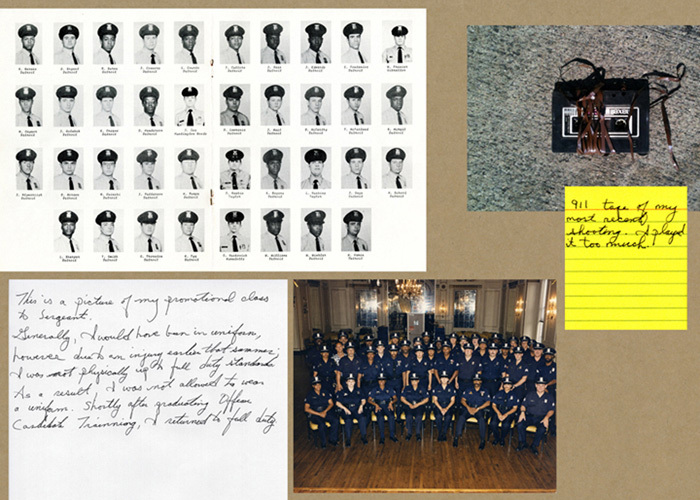 He kept an extensive record of images that he took during his 31 years on the job. 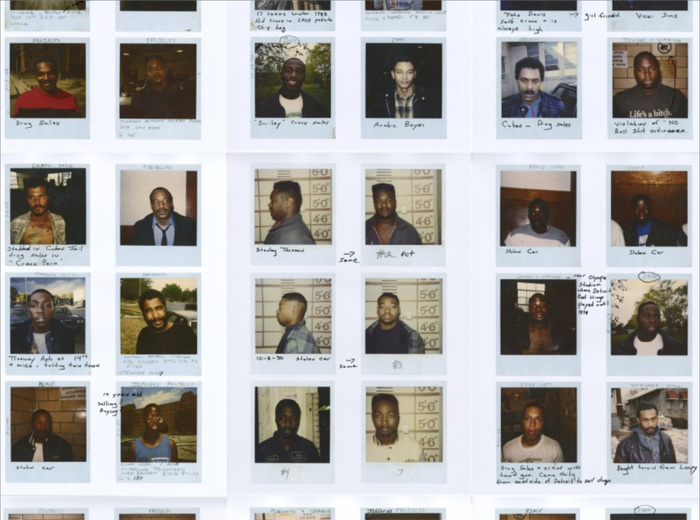 I catalogued, arranged and contributed to his archive with images I would take during our experiences re-tracing his steps in Detroit giving narrations to our images. Everything about this specific project happened in an upside-down manner. 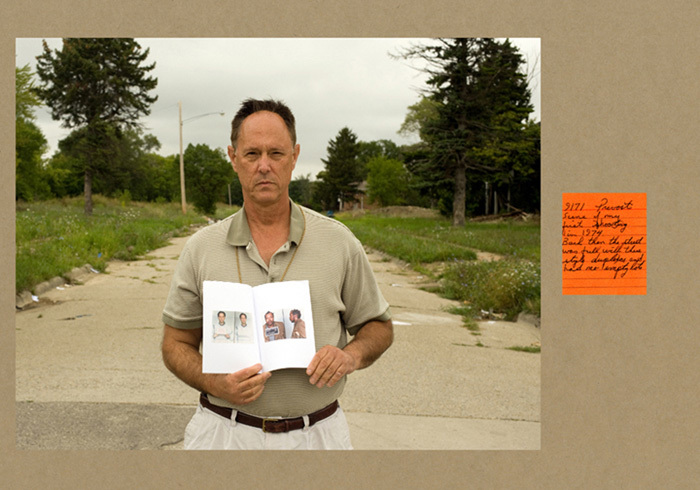 When I moved to Michigan, I was interested in hearing stories from people who worked in the city of Detroit. The stories had to be told through the prospective of labor and they had to be told by older males. Sergeant Gaynor happened to be my first and only interview. After our first meeting, we began working together weekly over the course of two years. F-Stop: How do you choose the men you work with in your creative projects? BS: I am drawn to men that reflect hyper-masculine characteristics and have really macho careers. I establish a working relationship with them and try to connect with then through labor and their profession. 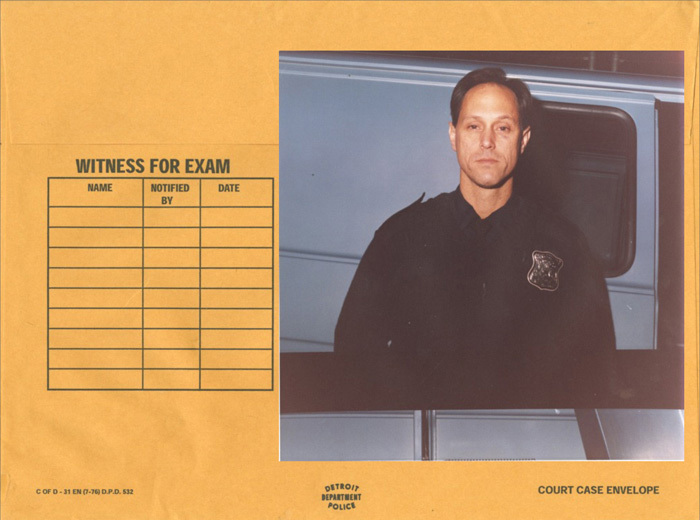 Before cops, I was really into taxidermists and militias. F-Stop: What do you hope people see or feel or perhaps learn when they look at the photographs in “Beautiful Pig”? BS: I want people to see the honesty. I spend so much time with these men, learning and trying to connect with them. Being an artist, I take them into the art world for a short period of time as they also take me into their past. It’s an exchange and thats where the art making happens. F-Stop: Do you have a favorite image or story from this series? If so, which one and why is it the image/story that speaks to you most? BS: I really like the images with heavy narrations and handwriting. None of the handwriting is mine. Once I create a pairing or composition, I return the images to be “narrated” by my subject. This is where the collaborative nature of the work really shines. I have less control over this part of the project and I love the outcome of the process. BS: Beautiful Pig is intended to exist as a large body of images to be exhibited in the setting of a gallery. Many of the images from Beautiful Pig (about 25% of them) have been exhibited at the Atlanta Contemporary Art Center in a group exhibition entitled “In Translation,” curated by Stuart Horodner. The entire body of work has never been shown. Currently, the work exists in the format of a book that I self-published in a small edition of only 100 copies. F-Stop: What is the best career advice you have ever received?